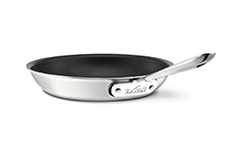 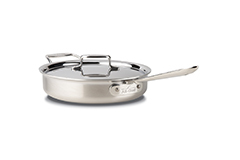 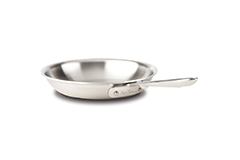 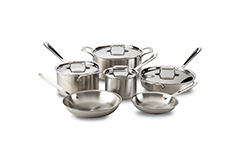 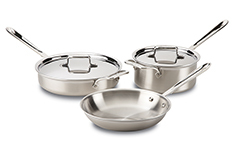 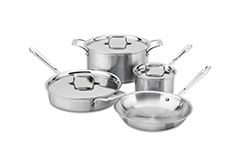 All-Clad D5 Series Cookware heats evenly and overall performs better on most cooking surfaces. 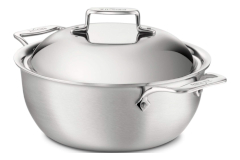 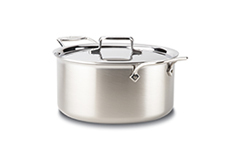 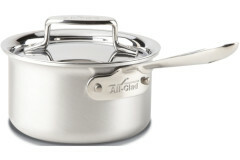 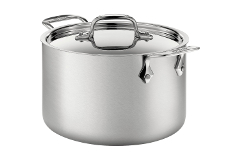 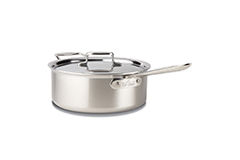 The outer edges and the core of the pot are stainless steel where the base is made of aluminum for quick heat absorption. 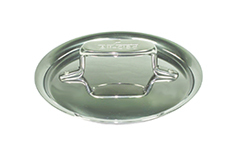 Large handles help you get a firmer grip while a curved lip helps stop spillage while pouring. 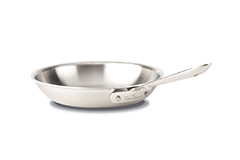 The D5 line is dishwasher safe.